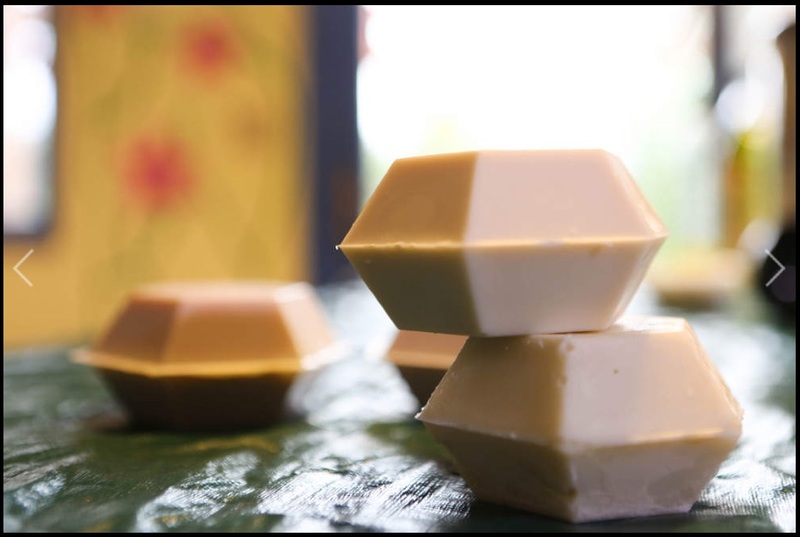 If you’re planning to give DIY gifts this holiday season, making soap should be next on your to-do list. It’s fun, easy, and many of the necessary ingredients and tools are already in your kitchen. Making soap can take less than an hour, but the finished product needs at least two weeks to cure. That means it’s a good idea to get started now. Here are some basic instructions from Kevin Prier, who, through his Suburban Homecraft sustainable living forum, teaches a variety of homesteading skills at local community centers and for private groups. Traditional soap is made by combining fat (lard), lye and water. For “vegetarian soap,” olive and grape-seed oil are two of Prier’s favorites — rather than fat — because they’re widely available and relatively affordable. Lye converts oil into soap. It’s a very caustic substance that seriously can harm skin. To avoid injuries, slowly add the lye to ice water — not the other way around. Lye heats water, and dumping the liquid into a bowl full of lye can cause the water to boil over. 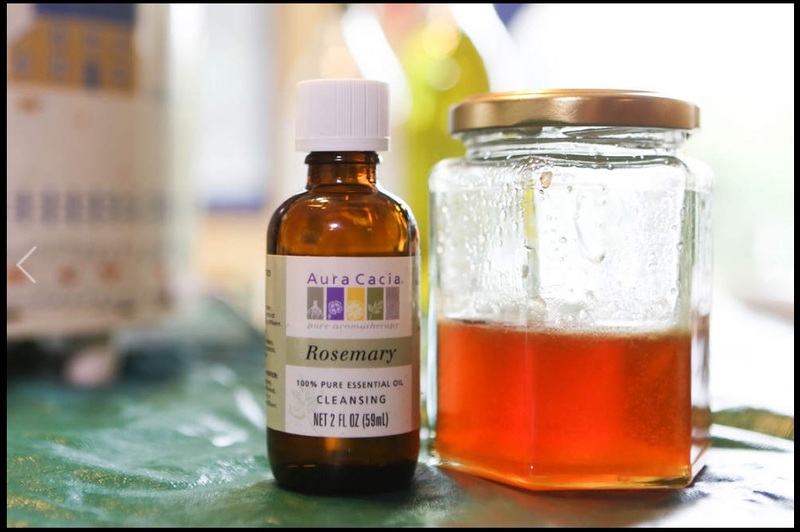 The lye mixture can irritate your eyes and throat, so make soap in a well-ventilated area. If lye does come into contact with skin, pour white vinegar on it. The acid will neutralize the caustic lye. It’s possible to add artificial colors to soap, but natural colorants work just as well. 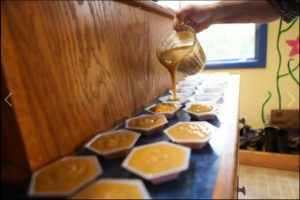 Honey turns soap yellow. The base of an aloe leaf creates a pink hue. Both of these products also will give the soap some additional skin conditioning qualities. 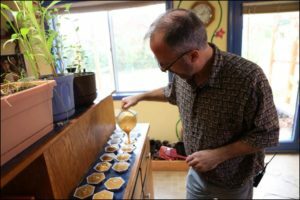 Prier recommends starting the soap-making process with a visit to website TheSage.com. 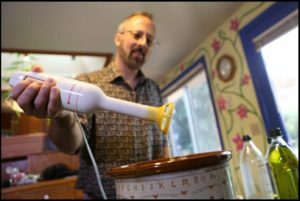 It has a calculator that determines the correct oil-to-lye ratio. Next he pulls out his slow cooker. The appliance will heat the soap and make the chemical reaction happen faster. Once finished, simply clean the cooker — it’s only been used for soap, after all — and use it again for other cooking as usual. That’s where an immersion blender comes in handy. The mixture also can be stirred with a plastic spatula or non-aluminum wire whisk (lye dissolves aluminum). Prier mixes intermittently until the soap reaches what he calls the “trace” or “pudding” stage. That’s when a line traced on the top of the mixture stays in place. 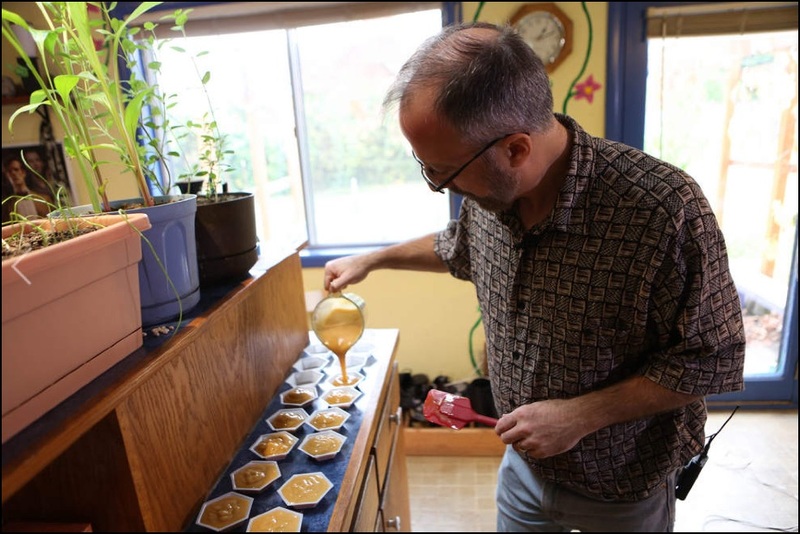 He adds the essential oil, gives the thick substance a few more stirs, and the soap is ready to be molded. Prier uses plastic hexagonal chemical measuring trays, available online, to give his soap a distinctive look. But it’s just as easy to pour the mix into a pan and, after hardened, cut into bars. Writer Sophia McDonald Bennett can be contacted at hg@registerguard.com.